Awami League chief and Prime Minister Sheikh Hasina will not be contesting from the Rangpur-6 constituency in the 11th parliamentary election and has nominated Speaker Shirin Sharmin Chaudhury as the party’s candidate. Hasina has been contesting from the seat comprising of the northern district’s Pirganj Upazila, her late husband Wazed Mia’s hometown. Addressing Pirganj Awami League leaders at the Ganabhaban on Thursday (Dec 6), Hasina said Chaudhury was “like a daughter to her” and instructed activists to campaign for her. The Awami League chief had filed nominations to contest from Gopalganj-3 and Rangpur-6. The speaker also submitted nominations for the Rangpur seat in line with the party’s instruction. Hasina’s order to leaders of the party’s Pirganj unit makes it clear that she will be contesting from a single seat in the polls slated for Dec 30. According to people familiar with the matter, Hasina called in local leaders on Thursday (Dec 6) ahead of the Dec 9 deadline to withdraw the nominations. After a day-long meeting with local leaders, she announced that Shirin Sharmin Chaudhury will be running on the party’s ticket from Rangpur-6. 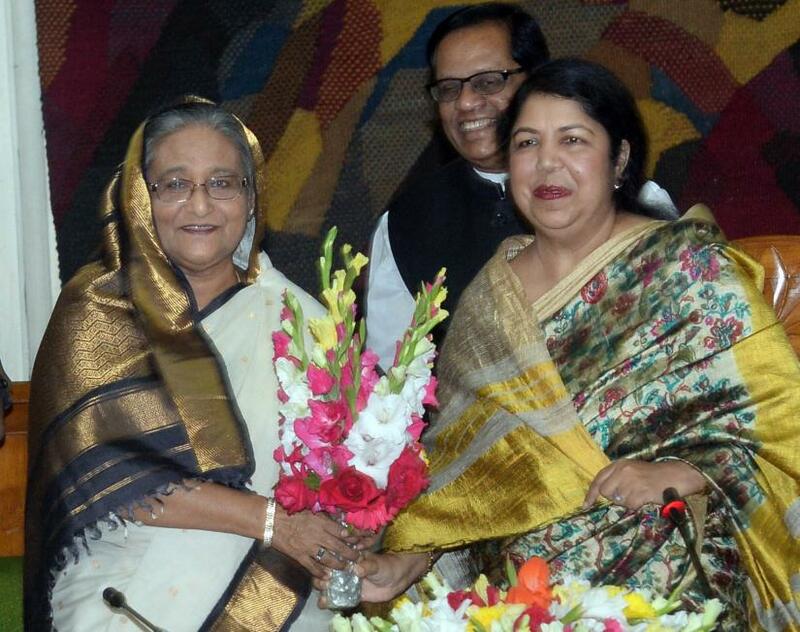 “We travelled to Dhaka upon the prime minister’s invitation and she nominated the speaker as the candidate from our constituency,” Pirganj unit General Secretary Tazinul Islam Shamim said.